Company line: Steel Panthers II: Modern Battles Invades the Modern Battlefield! It's tank vs. tank in this modern-day version of one of the most successful wargames ever! Set in Europe, Korea, and the Middle East from 1950 to 1999, STEEL PANTHERS II: Modern Battles TM puts you in command of a single squad or an entire battalion. In addition to modern tanks, you'll have access to all the appropriate unit types - including helicopters, jet fighters, and missile sites. Keep track of your favorite NCOs and officers and call upon them throughout your career. Challenge the many ready-to-play historical scenarios - or create your own! Endless custom scenarios can be had using the random scenario generator and the powerful scenario editor! STEEL PANTHERS II plays like a dream - SuperVGA graphics and intense animation help you feel the destruction raging all around you! Engage a friend in a Play-By-E-Mail game, complete with replay! 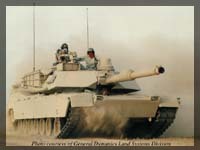 Digitized photos of all tanks, plus modern video combat footage, make STEEL PANTHERS II as exciting to watch as to play. Add digitized sound effects and this explosive, modern-day tank-fest will have you running for cover! The latest from Gary Grigsby, author of such hits as Pacific WarTM, War In RussiaTM, The Great WarTM, and Steel PanthersTM. Play against your friends through email (PBEM). Hundreds of unit types! The random scenario generator plus powerful scenario editing features mean no two scenarios need be the same. 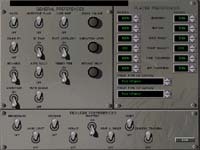 SuperVGA graphics, extensive animation, modern video combat footage, digitized photos, and digitized sound effects add up to a wargame that looks and sounds as good as it plays! Modern Armaments Include: Choppers, SAM's, Cluster Munitions, and Modern Anti-Tank Missiles. History: Gary Grigsby has authored Pacific War, War in Russia, The Great War and the original Steel Panthers. 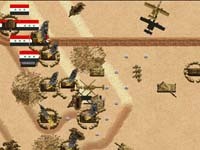 SSI has been known for years as the die hard hex-based war game company. Even in times when other companies refused to market their war games, SSI stuck by their guns and kept producing them. The fact is that the market for good, solid war games is a small, not as big as doom, but dedicated one. War gamers have never been let down b SSI, who keep bringing out excellent product. Steel Panthers covered the battles and scenarios surrounding World War II. You play with over one hundred unit types including AH-1 Cobra, AH-64 Apache and AH-66 helicopters, A-10s, FFAR rockets, T34/85, M4, M1A1, FA 18 Hornet, Challenger II MBTs, Shermans, Chafees, TO&E missiles, and many others. Every unit has their own detail screen, chock full of statistical information about it. Compared to the Janes information guides, this is quite impressive. 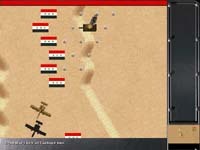 Game play: It is hex based warfare with two phased combat of fire and move. Another nice feature is that you can choose which nations army to command from a list of over 40 nations. Industry veteran war game reviewer, Bill Trotter, found a bug in the game. When allowing the game to handle the initial deployment of troops, you cannot have them dig in. In one scenerio, the Golan Heights, this causes the Israelis to loose no matter what you do. Airstrikes: Now A-10s can spread cluster bombs over a large area. Scenerios: There are six historical and "what if" campaign games that divide up the 55 preset scenarios from 1950 Korea, Vietnam, Sinai, 1991 Desert Storm (includes Gulf War), a hypothetical Russian invasion of Germany in 1980, and even Okinowa 1998 campaign (Japan vs US). The random scenario generator lets you link from five to 200 interlinked battlefields that you can play through in sequence with the same troops or with reinforcements. A Training Scenario is also included to get you started. Artificial intelligence: The new AI takes advantage of the tactical advantage that their equipment has over other the human equipment. Mark points out that North Korean armor with thick frontal armor will close with Shermans and Chafees who have thin frontal armor and devastate them. Interface: The scrolling and zoomable topdown view of the battlefield takes up most of (at least 90%) of the left upper screen. A small band at the bottom reports on the action with text. The right hand control panel has point and click 22 unit command icons that make game play more interesting with more things to do with your men. The small bottom right hand portion of the screen is made up of a very small battlefield map that provides instant analysis of the tactical situation in the entire battlefield. Graphics: Graphics are not the big thing with these battles. While the SVGA graphics are good for a game of this type, they do not rival the high resolution graphics seen in other genres. The battlefields are mostly flat with the changes in elevation shown as hex based increases in elevation, not the gradual increases that we see in life. Bomb craters dot the landscape and roads move through the terrain. Most of the terrain features that affect battle and movement are shown clearly and attractively without elaborate graphics. Animation: Very simplistic animation with extremely small unit types that glide across the board with lighting effects and shading to simulate three dimensions. There is a full motion video sequence in the beginning that is quite good. Explosions, fire and smoke are very remarkable in the game for a game of this type. Music score: Seven tracks of percussion based military music are on the CD. Sound effects: Good since there are sufficient sounds as to not be monotonous. SSI has gone to great pains to give you the correct sounds of battle including the whoosh of rockets and the rip of gattling gun fire. 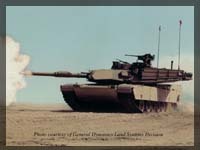 Fred cites the crump, crump of rounds bouncing off an Abrams as 100% accurate. Utilities: A VCR playback mode allows PBEM players to view opponents moves before making their own and also allows you to review battle moves. An extensive campaign editor puts at the gamers disposal 400 weapon types, hundreds of units from the last 50 years of battle in over 40 countries. The scenario builder discussed above also makes the game infinitely more playable and lets you fix the Golan Heights scenario discussed earlier. Multi-player: The game only supports play by email (PBEM) as its only multi-player option. There is no head-to-head or cooperative play by split screen, null modem, phone modem, network, or internet. Future plans: We recently learned that SSI intends to release 9 more wargames very soon in 1997. Reviewer: Mark seems very excited about this one. In spite of the bugs and "obvious design failings" Mark pats them on the back for their "unrivaled prowess in historical simulations." Mark must need a loan. Grognards and Mark will lament the historical introduction of TO&E missiles before their time and helicopters with FLIR (forward looking infra-red sensors) sighting that cannot target through smoke. Both of these inaccuracies will not affect the average Joe. Fred found a the PBEM feature of VCR replay eliminates the "bug" that mysteriously kills off your men in other PBEM game formats. Christine Grech Wendin, PC Games, volume 3, number 8, August, 1996, pg. 36-37. Mark Dultz, Computer Player, volume 3, number 6, January, 1997, pg. 77, 90%, CP Recommended. Blaine Pynkala, http://www.gamesup.com/reviews/panth2.html, 90% (most excellent). Mark W. Kaelin, http://www.gamepen.com/gamewire/reviews/ibste.html, 95% (Steel Panthers). William R. Trotter, PC Gamer, volume 4, number 2, February, 1997, pg. 159, 80%.